At some point or another, difficulties always arise in the workplace. When the difficulties stem from tricky negotiations with clients or troublesome mechanical failures, they’re simply a matter of patience. But when the troubles come from the employees themselves, it’s an entirely different story. Dealing with disruptive employees is one of the most difficult but also the most essential of management’s responsibilities. It is a core job function. Left unchecked, a disruptive worker’s negative impact may not only cost your organization financially but also in producing an antagonistic workplace environment. This type of workplace leaves everyone feeling uncomfortable, stressed, untrusting, and thus, as a result, not as productive. This session will outline some of the ways to effectively deal with problematic or difficult employees in a positive and straightforward manner. Before overreacting to the situation where a difficult employee must be given feedback, the manager’s primary responsibility is to make certain that a problem exists in the first place. Sometimes, when we receive complaints about a particular employee or even when we have challenging experiences with an employee ourselves, there’s a reasonable explanation concerning what is happening. This reason simply gets overlooked because emotions run high or because the nature of the situation clouds logic. This session details some considerations to make before you take action, as well as what steps to take if you find that your initial judgment was, in fact, in error. First, it’s important to identify whether or not there are any extenuating circumstances that are causing an immediate issue that is likely to resolve itself in the near future. It is important to understand that situations and character traits should be kept separate. If you do not do this you leave yourself open for a bad feedback session and leave the organization wide open to employee complaints. 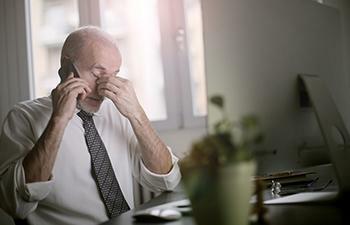 For example, if you have received complaints about a longtime employee whose prior record is free from blemishes and their track record shows them to be an amicable, easygoing person, it’s very likely that there is a situation, perhaps a personal issue that is having a negative effect upon that employee. Ideally, of course, employees will be able to separate their personal and professional lives so that a crisis in one area need not affect the other. In dealing with people for many years, I have found that separation of personal and professional lives is the exception rather than the rule. In other words, this expectation of compartmentalization is only reasonable to a certain point. Nearly all employees at some point along the line are going to face hardships or challenges in their personal lives that dominate their thought processes and color their personalities for the duration of those problems. When this happens, it’s appropriate to address the concerns, but in a sensitive way. The employee might not be willing to discuss the specific issues that are making him or her difficult to get along with at the moment, or those that are creating stress, but oftentimes simply knowing that management is understanding and is willing to listen when this type of situation arises is enough to remove a significant degree of the stress that the employee is going through. Most of the time you’ll find that this is all that’s needed to resolve the situation or to lessen conflict. Second, ignorance of policy can have a huge effect on an employee’s behavior. Many times, a difficult employee is simply unaware that he or she is acting inappropriately within the structure of the organization. Perhaps they come from another organization with a much different infrastructure or another culture altogether. Whatever the case, the blame cannot be laid on an employee for not adhering to the policy that they were never properly made aware of. Therefore, it’s essential to conduct periodic reviews of training practices and check in with new hires to make sure that those managers in charge of training are properly communicating the organization’s policies, expectations of corporate behavior, and work-related guidelines. Lastly, it might be a difficult pill to swallow, but often the problem lies not with the employee but with the manager. If a particular department, for instance, has recently seen an unusually large number of disciplinary reports, there’s a good chance that the turmoil in that department is stemming not from the employees, but rather from policies or managerial practices that are inappropriate, ineffective, or just simply untimely. These things frustrate employees, turning a productive employee into one now labeled “difficult”. To help curb the rise of frustration be more conscientious of those difficult employee’s worries and concerns. Without compromising the efficacy of the organization, managers can often implement simple changes to organizational structure or policies that will totally change the atmosphere of a workplace. When employees see management take positive steps to remove obstacles, get rid of bottlenecks and do away with out-dated rules, you might find that once vocal, insistent, or assertive employees let down their defenses and once again become valuable members of the team. As important as it is to ensure that an employee is actually at fault for the complaints being generated about him or her, there comes a time when after all the policy reviews and introspection have failed that blame will have to be laid at an employee’s feet. At such a point, a meeting to discuss the employee’s difficult behavior is in order. Conducting such a meeting, however, can be a difficult and uncomfortable process for all involved, unless certain measures are taken to keep it under control. For those of you who have not yet gone through the Feedback & Coaching seminars, here are some pointers. For those of you who have passed the test, use this as a refresher. Before calling the meeting, it’s important to get a handle on what kind of behavior to expect from the employee. Observing their reaction’s to everyday events is a good way to gauge how they will react when confronted with the feedback. In addition, you’ll want to know the exact nature of his or her offenses. It’s not enough simply to know that “he causes frequent disturbances” or that she is “difficult to get along with”. You should be prepared to offer specific instances about what you are giving feedback on. Do they frequently challenge a manager’s authority, even on routine tasks? Is the behavior a matter of punctuality? By knowing the exact nature of the problem you’re dealing with, and observing the behavioral history and patterns exhibited by the employee, you’ll be much more capable of remaining objective and in control of an already difficult situation. As I said it is critical to separate the situation from a person’s character traits. Your goal is to make an employee aware of how her behavior in a specific situation is disruptive to the workplace. It is wise to ask them to take personal responsibility by asking the individual to consciously change their behavior while at work. is This is an approach likely to garner some positive results. Remember, the feedback you are giving them is work-specific, you should never cross the line into the behavior they use in their personal life. Asking an employee to re-prioritize his or her entire value system by making blanket statements such as telling a naturally go-getting type person “Don’t act so hastily!” or a person who loves passionate debate “Tone down the passion!”, is just as ineffective. These words are unlikely to be of any benefit and will just make the problematic employee become defensive. Of course, there are times when even repeated discussions will fail and an employee has become so consistently and routinely troublesome that there’s no choice left but to take disciplinary action. When this time comes, you’ll want to prepare for it so that the inherent unpleasantness of the situation is tempered by civility and a professional demeanor. Be certain that the action being taken corresponds both to policy and historical precedent for similar violations in the past. A disciplinary action that’s viewed as unwarranted by the rest of your staff will quickly lead to an uneasy and fearful workplace environment. Explain to the employee being disciplined in no uncertain terms what the nature of his or her offense was, and why the disciplinary action is being carried out. Be totally objective and leave no room for emotional interpretation or speculation as to ulterior motives. Keep documents recording the administering of the disciplinary action as well as all the events that led up to it. In the event that the disciplined employee continues to violate policy and requires further action on your part or even tries to file a discrimination suit against your organization, the basis for your actions will be concretely supported by the records. Handling difficult employees is something that will always be part of management. It is the inevitable consequence of having many motivated, willful, ambitious individuals working in the same organization. With proper leadership skills and management techniques, however, issues can be isolated before they become a problem. You will see with the correct training, you can project the image of your organization as one that cares about an individual’s needs. As with all difficulties in the business world, turning a bad situation to your favor is the mark of a truly successful professional.